How can the Cowboys drop 40 points on the Jaguars defense after barely moving the ball against the Texans? How have the Vikings rebounded from that ugly start? Are the Seahawks possibly a playoff team? Shouldn’t the Texans either be much better or much worse than they are? What about the Titans? Who are the Titans? Why are the Titans? 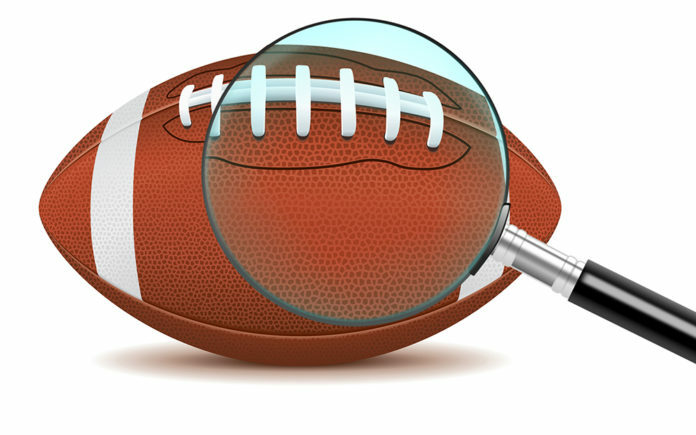 October is the time for mysteries, and the NFL is full of them this season. There are seven teams with 3-3 records after Sunday and four others somewhere between 2-3-1 and 3-2-1. There’s nothing puzzling about many of these teams—the Jets are rebuilding, the Steelers consistently inconsistent, the Eagles coping with a mix of injuries and a Super Bowl hangover, and so on—but much of the NFL’s middle class is shrouded in mystery. And some strange Sunday results did little to clear the fog. In an ongoing effort to make sense of the often senseless NFL, CV Weekly is here to separate perception from reality and share some secrets of the NFL’s hardest-to-solve mystery teams. The perception: They’re a Jerry Jones vanity project with a head coach who could lose a tic-tac-toe tournament. The reality: The Cowboys have a swarming, talented defense and an excellent running game. If you can sustain drives and force them to throw more than zero yards downfield, you can beat them. Get cute and sloppy on offense like the Jaguars did Sunday, and the Cowboys will rip a fabric in space-time, wear your defense out with about 39 minutes of ball control and make you look foolish in a 40-7 rout. The Redskins, Panthers and Seahawks are similar to the Cowboys in terms of general style and overall quality. The Seahawks and Panthers have already beaten the Cowboys, but next Sunday’s trip to FedExField will matter more than those losses. A 9-7 record, with the right combination of tiebreakers, could win the NFC East. The perception: They have J.J. Watt, Jadeveon Clowney, Deshaun Watson, DeAndre Hopkins…these guys are going to the Super Bowl, right? The reality: After starting the season 0-3, the Texans have climbed to .500 with overtime victories against the Colts and Cowboys and Sunday’s 20-13 averted disaster over the Bills. In other words: lots of bean dip. The Texans scored just one touchdown on four red-zone trips against the Bills after treating the end zone like it was full of rotating razor blades last Sunday night. Their offensive line is terrible, as are their offensive game plans, but their future schedule is full of foes like the Browns, Jets, Colts, Titans and Broncos, all of whom may tremble when Watt takes the field. It all adds up to Bill O’Brien working his magic once again by turning a star-studded roster into a 9-7 team. The perception: Blake Bortles must be holding the Jaguars back. The reality: Blake Bortles is holding the Jaguars back. With the Jaguars offense playing poorly, their defense has contracted a case of 2016-17 Broncos Syndrome: It is asked to do too much and ends up buckling after one or two mistakes. Next week’s matchup with the Texans is the Jaguars’ litmus test. If they win, they’re back on track to seize the division. If they get lulled into an ugly Texans game, we can start talking about what a missed opportunity this Jaguars season has been. The perception: A 1-2-1 start? This can only be Kirk Cousins’ fault! The reality: The Vikings have a bad offensive line and got caught looking past the Bills in September. Cousins has played very well when not getting hammered the moment the snap arrives, and the defense, while not as dominant as hoped, has been effective against non-Rams opponents. The Vikings’ biggest problem, aside from line play, is that they hoped to be where the Rams are right now instead of in a three-way dogfight for their division. They should be 5-3-1 entering their bye after an upcoming Jets-Saints-Lions slate. That’s not what they wanted, but it’s better than what looked like might happen after that Bills game. The perception: They are nothing more than Russell Wilson and the NFL’s most-affordable, least-controversial pre-rebuilding placeholders. The reality: Pete Carroll’s happy-to-be-here temp agency trounced a disinterested Raiders team Sunday and has an early-season win over the Cardinals, who are basically Pac-12 also-rans. Like the Cowboys (the other team they beat), the Seahawks fly around the field on defense and play paint-by-numbers on offense. Unlike the Cowboys, the Seahawks still have Wilson and Doug Baldwin to provide passing oomph. The Seahawks will go .500 this season if they win their three remaining games against the Cardinals and what’s left of the 49ers and find two other wins against tough out-of-division rivals. Unfortunately, .500 has zero chance of winning the NFC West or making much wild-card noise. The perception: No one has any perception whatsoever of the Titans. They even changed uniforms this season, and you probably haven’t noticed yet. The reality: The Titans have a putrid offense and a pretty good defense; they’re like the Bills, but less extreme in both directions. They beat the Texans with fake punts and Wildcats and the Eagles on a bunch of fourth-down conversions, masking their lack of offense on the stat sheets. The Ravens and Bills have now exposed them with back-to-back touchdown-less weeks. Feel free to keep ignoring the Titans; they aren’t going anywhere. The perception: Wait…they’re 4-2? They won a game with Brock Osweiler at quarterback? Maybe they’re actually good? The reality: No! That can’t be right. There’s no plausible explanation on earth. Unless they faced the Titans in a tsunami. And a rookie quarterback. And Jon Gruden’s counter-motivated geezers. And the Bipolar Bears. Oh, that’s what happened? Phew.